Challenge Numerical beam simulation techniques used in MR-guided focused ultrasound surgery (MRgFUS) for patient treatment planning rely on accurate tissue properties in order to predict the location and shape of the beam’s focus. 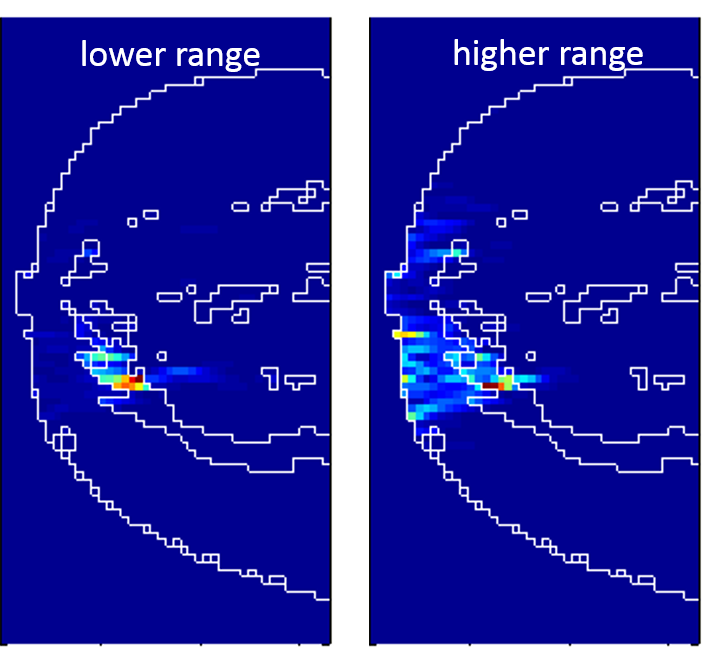 Current Approaches Use table value estimates of tissue properties as in vivo tissue properties cannot be measured.Figure below shows the difference in beam propagation predictions when using tissue properties reported in literature for human breast tissue (left image- lower value, right image-higher value for the reported range of tissue properties). Approach In this paper we present an inverse parameter estimation technique that non-invasively determines patient-specific tissue acoustic properties (speed of sound and attenuation) using a pre-treatment low-level ultrasound heating pulse and MRI temperature monitoring. Results The inverse parameter estimation technique resulted in accurate ultrasound property values (within 5 % of those obtained by the through-transmission method). Following these validation experiments, the technique was used to measure tissue acoustic properties for the first time in in-vivo experiments and measure changes in tissue acoustic properties after MRgFUS treatment. Urvi Vyas, Allison Payne, Nick Todd, Dennis Parker, Bob Roemer and Douglas Christensen, “A new technique for measuring changes in tissue acoustic properties using MR temperature mapping”, Society for Thermal Medicine, Clearwater Beach, Florida, April, 2010.